I enjoy spying on the various optimizations Google does because they have a culture of letting the numbers drive decisions. Google runs a a ton of tests at any give point in time, and with the volume of traffic they have access too, they can quickly find out if something works or not. So for example today, I'd like to share the results of an optimization they tested with their adsense publishers. So it's pretty common knowledge that you can increase the CTR of a link or image by change the color of the link or button when the mouse hovers over the image, we use this trick on this blog. Now you know why it's been so hard to resist clicking our links. But here's the added twist and insight that I picked up from google. If you have an adsense account, just setup an ad unit using the same colors you have set on your site/landing page and see what color google chooses onmouseover. 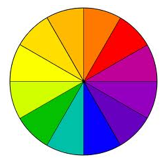 Alternatively, you can use the color wheel as a guide. But as with anything, you still have to test and measure how it works for you because in some instances you may still see negative results. Using a tool like Conversion202 will allow you to easily run this simple test, and more without having to be a rocket scientist. 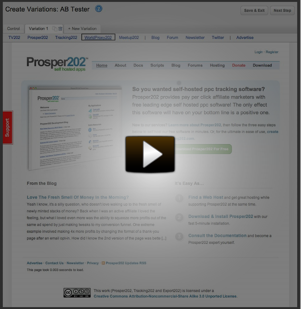 If you are not already testing with Conversion202, what are you waiting for. Grab a free account and start optimizing, you be amazed at how much of a difference a little testing will do to your net income.